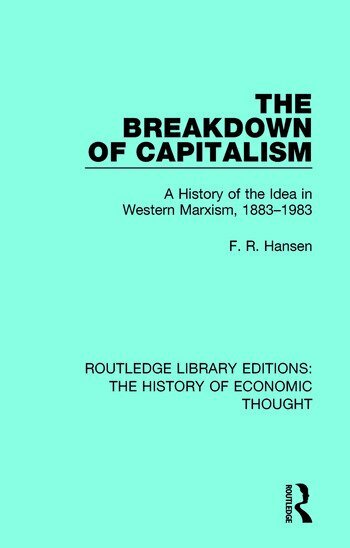 This comprehensive and lucid study, first published in 1985, reconstructs the history of Western Marxist theories of the breakdown of capitalism. It provides a critical reading of theories of breakdown, with their conflicting interpretations of a single text, their invulnerability to empirical defeat, and their retreat from class analysis, as events in the history of ideas. This study traces the sources of theoretical conflict in a series of historical and epistemological issues that shift over time and generate new conditions for speculations concerning the fate of the system. In seeking to understand that durability of the concept of breakdown, the author raises important questions about the social conditions and consequences of theoretical work and the status of critical thought in society. This title will be of interest to students of history and economics.